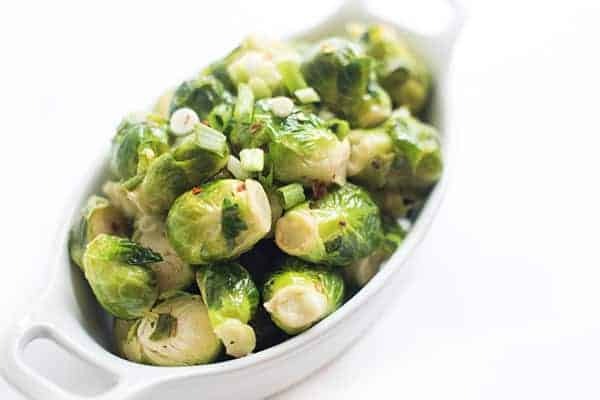 Ready in just 5 minutes, Brussels sprouts are steamed until tender then tossed in a lemon garlic vinaigrette creating the ultimate healthy and delicious side dish recipe. Believe it or not, the holidays are right around the corner! Are you ready? Whether you’re hosting the big meal or need a dish to pass, this 4-ingredient Lemon Garlic Brussels Sprouts recipe is for you! Since this is our first year in our new home and our first time ever hosting Thanksgiving, you better believe I am in favor of any dish that is ready in just 5 minutes! The secret to this fast-cooking side dish recipe? 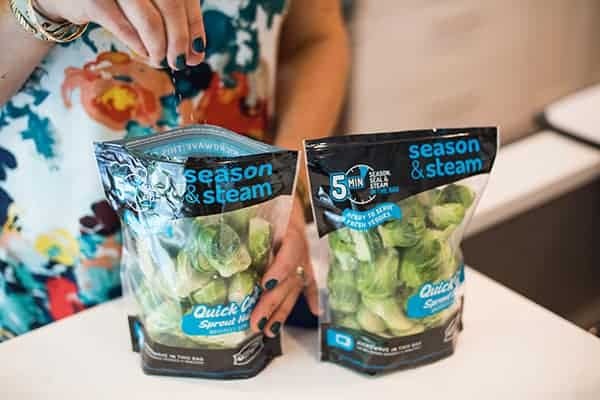 Ocean Mist’s Season and Steam Brussels sprouts that cook in just 5 minute flat! While there are endless ways to elevate the flavor of these nutritional powerhouses, I love making a simple lemon garlic vinaigrette with olive oil and a pinch of chili flakes. A sprinkle of fresh scallions on top before serving is all you need to turn this naturally gluten free side dish recipe from blah to yum. Ready for more good news? Enter here for your chance to win a steam-themed prize pack – including Season and Steam products and Williams Sonoma steaming essentials! Trust me, your holiday meals will thank you for it. Prepare the Brussels sprouts in the microwave according to package instructions, without any added seasoning. 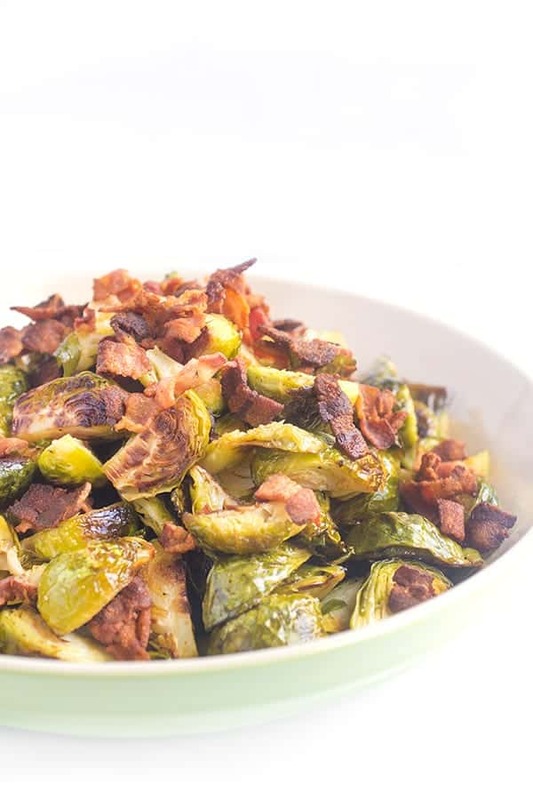 While the Brussels are cooking in the microwave, whisk together the lemon garlic vinaigrette in a medium bowl: lemon juice, olive oil, garlic, salt and chili flakes (if using). Add the cooked Brussels sprouts to the bowl and toss well. Sprinkle with scallions if you wish to serve. 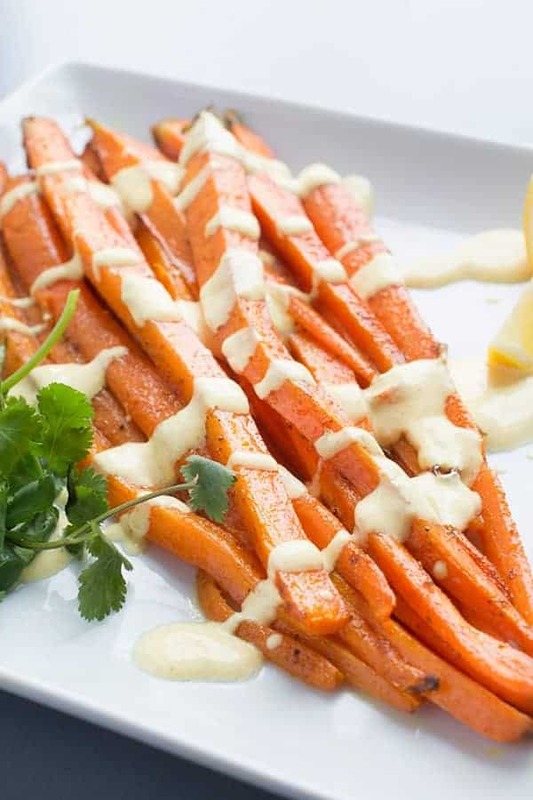 Check out my Pinterest board to see more healthy side dish recipes! What a perfect side dish for the holidays! I never would have said this as a kid, but Brussels sprouts are one of my favorite veggies now. I need to try this recipe! haha right?? It’s so funny how our tastes change! This is a perfect side dish for the holidays! 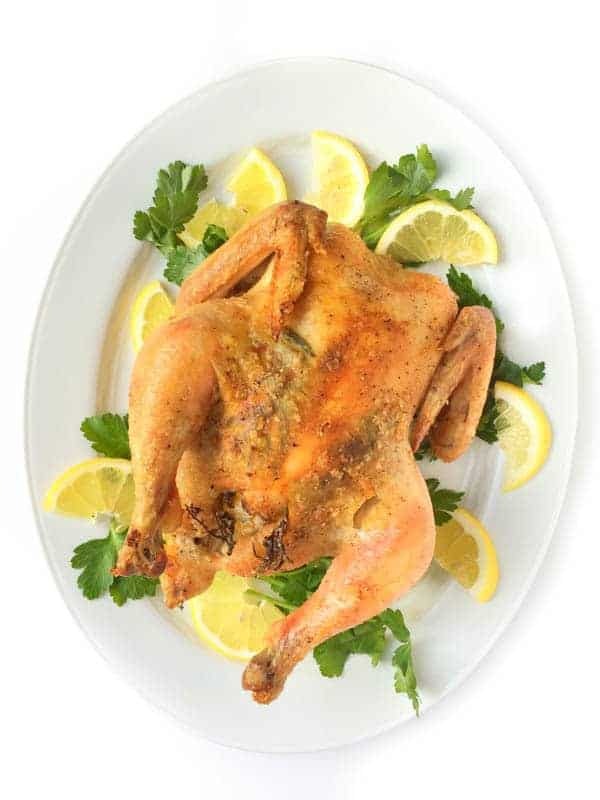 So easy and still flavorful! I just might make these for Thanksgiving instead our regular roasted ones! Ooh, these look fab! I can’t believe they’re so quick to prepare. Since I’m living without a kitchen for the next 6-8 weeks as we remodel, I NEED to find these Ocean Mist Brussels sprouts! WOW. These are IDEAL for a kitchen remodel!! Adding this to my Thanksgiving side dish list!!! How have I never seen these Brussels Sprouts? 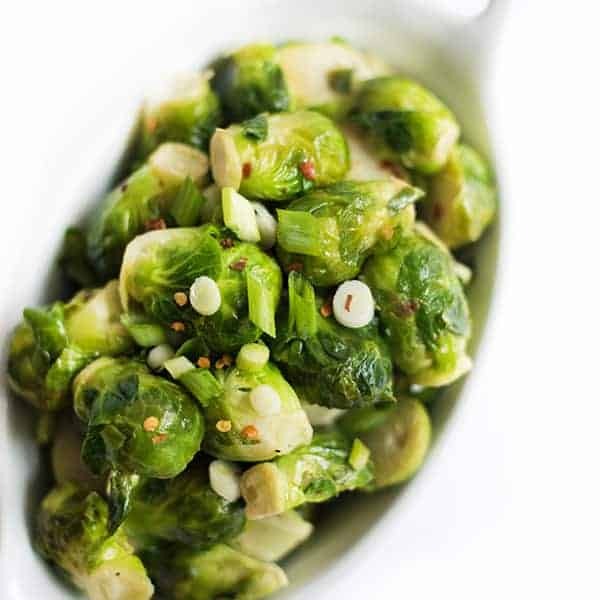 I am OBSESSED with Brussels – eat them every day! can’t wait to try these! 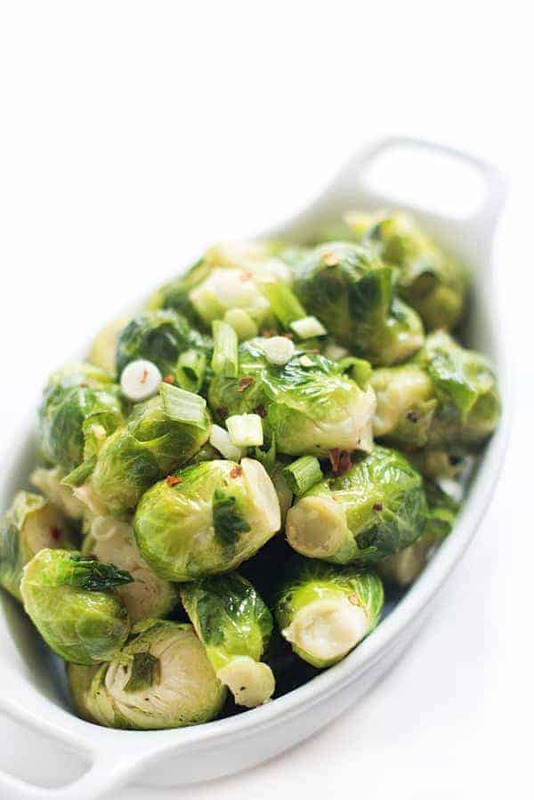 I love eating brussels sprouts and especially enjoy adding flavors to them. This sounds wonderful!